LPU HQ News Round-Up: Tour, LPU-TV, Goodies! Hello again to Linkin Park fans all around the world! Here is another round up of news straight from the LPU HQ. It has been a while since the last round up so to keep the article short I have only included news that is still relevant. In this round-up we have news about the latest auction and giveaway, more LPU-TV exclusives, tour info and more! So what are you waiting for? If you have not had a chance to read up on the latest news, do it now! Linkin Park are scheduled to headline the second night of Monster Mash 2015 in Tempe, AZ on November 1. Exclusive LPU pre-sale tickets are no longer available however, general public tickets are now available here. If you have any questions you can contact Union Support here. For a limited time only, there is a summer sale at the LPU where you can save big on some of your favorite LPU items. Hurry though as the sale ends on July 10 at 11:59pm PST. Also, all orders placed over $50 will entitle you to a Free LPU Beach Ball. What’s a beach without an LPU Beach Ball?! Want to check out the LPU Summer Sale? (silly question!) Click here. A few new LPU TV Exclusive episodes have been uploaded recently. Here are some of the titles: “True Chainz Chester Vocals”, “True Chainz Gang Vocals” and “Crutch Blackout”. So if you have been away or have not had access to the internet for a while or if you have just not been keeping yourself up to date in the world of Linkin Park, click here to watch them all! Bidding has begun for this months auction. Up for auction this month is an autographed Fender Bass Guitar which was played by Phoenix at River City Rock Fest on May 24. Other items up for auction include: Meteora vinyl insert signed by Linkin Park band members, drum sticks signed by Rob and a left-foot Sebago boot signed by Linkin Park band members. To view the items and place a bid please go here. Hurry, as bidding ends on May 1st and you do not want to miss out! 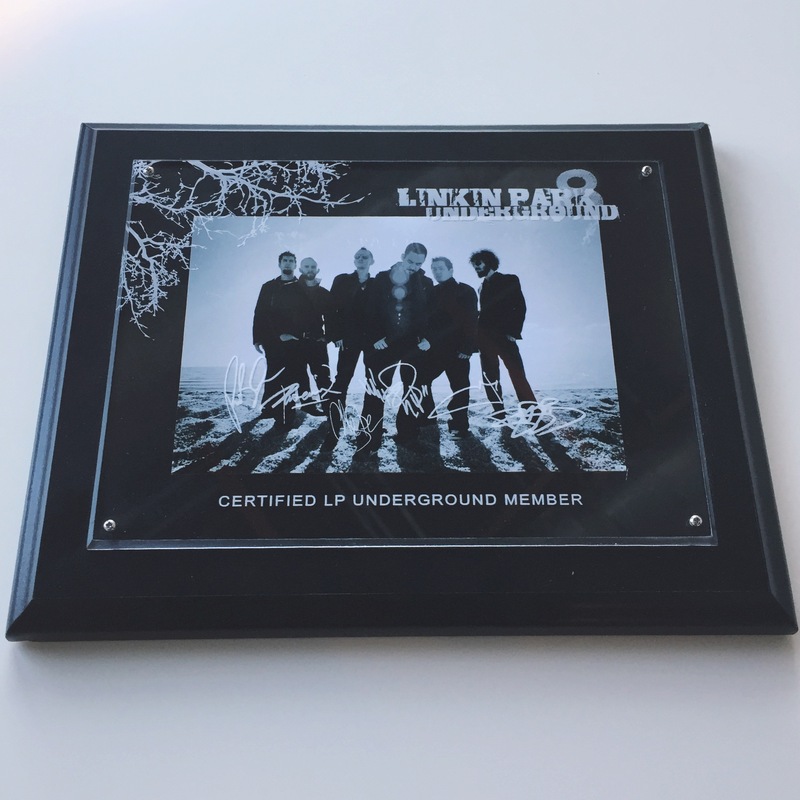 This months LPU Giveaway is a ‘Certified LP Underground Member’ plaque from Linkin Park Underground 8. This is really cool! Click here to enter. And that concludes this news round-up. See you all next time! If you enjoy these round-ups please let us know in the comments or by rating. Thank you! This entry was posted in Blog, LP Underground, LPU News, News, Theme Relevant and tag lpu, monster mash, the hunting party tour. 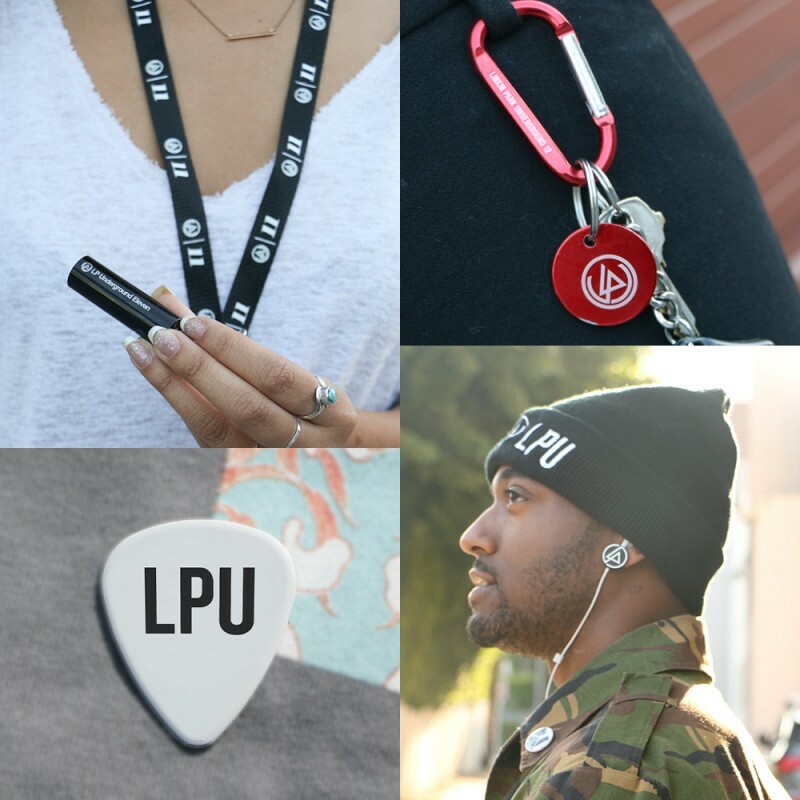 LPU HQ News Round-Up: Merch Deals, Giveaway!